Style points aren’t used to determine state tournament berths. Moapa Valley’s girls basketball team certainly is happy about that. Moapa Valley (19-9) will face Boulder City (21-7) for the region title at 5 p.m. Monday at Del Sol. Both teams advance to the state tournament, which begins Friday at Orleans Arena. Moapa Valley was 5-for-37 from the field with 10 turnovers through the first three quarters Saturday, yet took a 12-11 lead into the fourth quarter. 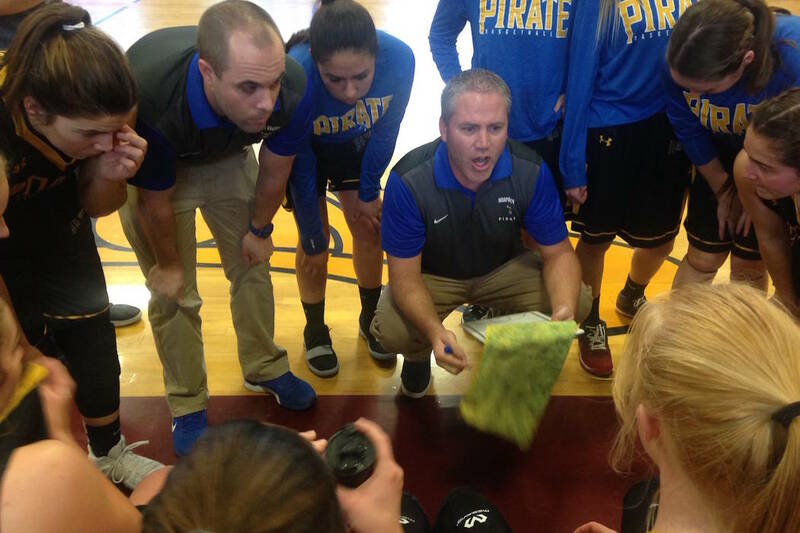 Ashlyn Western’s second-chance basket with 1:34 to play in the fourth quarter gave the Pirates a 21-18 lead, but Pahrump’s Kathryn Daffer banked in a jumper with 35 seconds left and teammate Makayla Gent split two free throws with 13.2 seconds to go to force overtime. Moapa Valley missed the front end of two 1-and-1 opportunities in the final minute that could have secured the win. Emma Humes scored four of the Pirates’ eight points in overtime, with her jumper giving Moapa Valley a 27-24 lead with 44 seconds left. Lainey Cornwall had the other four Moapa Valley overtime points and capped the win with two free throws with 14.8 seconds to play. Moapa Valley played well defensively, holding Pahrump (21-13) to 4-for-40 from the field over the final three quarters and overtime. The Pirates also forced 26 turnovers. Cornwall led Moapa Valley with 10 points, and teammate Kaitlyn Anderson had nine points and nine rebounds. Daffer paced Pahrump with eight points and 16 rebounds. Boulder City 50, Mojave 28 — Keely Alexander scored 19 points, and the Eagles held the Rattlers scoreless for the first 8:25 of the second half to cruise into the final. Alexander had 13 points in the first half as the Eagles jumped to a 31-18 halftime lead. The Eagles then started the second half on a 10-0 run to eliminate any doubt. Mojave (14-8) never got untracked. The Rattlers made just 13 of 43 shots from the field, including 1 of 16 3-pointers. Madison Manns added 11 points, and Ellie Howard had 10 points and nine rebounds for Boulder City, which has won 12 straight games heading into Monday’s region final. Essence McRae and Chania Scott each had seven points for Mojave.